Rob is a Chartered Accountant with over 20 years experience in business. During this time he has had many varied roles in businesses, which has led him to gain vast experience in how businesses run from the ground level up. 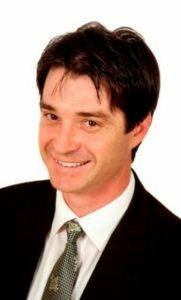 During this time Rob has been involved intimately in some of the most successful businesses in the Goldfields. Ben completed his Bachelor of Commerce in 2012, with Majors in Accounting and Business Law. Having grown up in the Goldfields region, Ben hopes to continue living and working in Kalgoorlie, with ambitions of becoming a Chartered Accountant. Meredith brings years of experience with extensive knowledge of financial accounting, financial and manufacturing software – implementation, operation and support. She has previously run her own Software support business, providing assistance and training to Owner Operator through to Blue Chip Corporations. As a former licensed Real Estate Agent her eye for detail is keen and understands clients expectation of performance and privacy. Her knowledge from a ‘user’ perspective of accounting adds a further dimension to our team. Jan has completed several tertiary level accounting courses and has completed her Bachelor of Science in Psychology in 2013. This study has focused on organisational theory and human resource management. She is also completing her post graduate in Master of Applied Accounting. Jan is responsible for the overall running of the office and is a personal assistant to Robert. She has extensive experience in micro and small business administration systems and also provides administration services to other local businesses. Faith was born in South Africa then moved to the United Kingdom in 2007. She and her family decided to thaw out in 2012, when they were given an opportunity to live and work in Australia. Faith and her family love the outback lifestyle Kalgoorlie has to offer and are involved in many community activities. Faith is the friendly accent when you call and the smiling face that greets you when you visit our office. Faith’s responsibilities include administrative duties and maintaining our Corporate Compliance documentation.